A sari, saree or shari is a female garment from the Indian subcontinent that consists of a drape varying from five to nine yards (4.5 metres to 8 metres) in length and two to four feet (60 cm to 1.20 m) in breadth that is typically wrapped around the waist, with one end draped over the shoulder, baring the midriff. 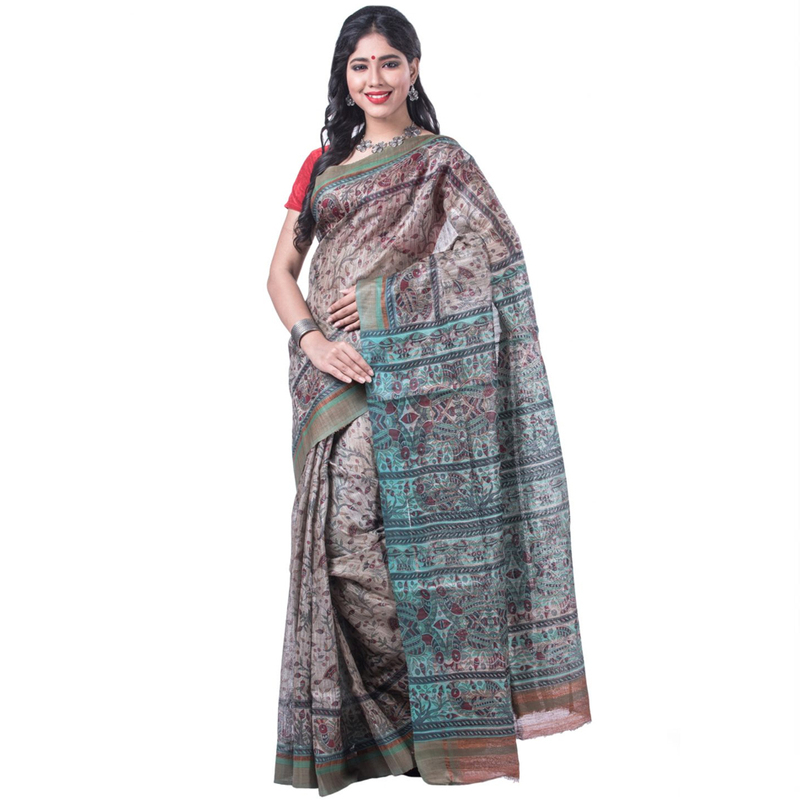 There are various styles sari manufacture and draping, the most common being the Nivi style, which originated in Deccan region of India. The sari is worn with fitted bodice commonly called a choli (ravike in southern India, and cholo in Nepal) and petticoat called parkar or ul-pavadai. In the modern Indian subcontinent, the sari is considered a cultural icon.